Once upon a time Donovan assured Lily all of her dreams would come true. But how could he keep the promise of a fairy tale when her truest goals could not involve him, though her deepest desires did? Now, Lily has it all - love, passion, a family, and the career of her dreams - with Christopher. But something is lacking. She and Donovan have spent the last 10 years living apart, and the soul mates are eager to reunite. Can Donovan keep his promise to give Lily all she desires, even with Christopher in the way? Donovan is convinced Lily has been his love for all eternity. Determined to unravel the past, they embark on a journey to discover where it all began. For centuries Donovan has stolen Lily's heart while forced to suffer for his love. How much can a soul endure before the breaking point is reached and a monster emerges? Can the demons of the past be combated to pave the way for happiness in the next life? Or has the abuse suffered in this life already turned Donovan hell bound? Time and again, one woman has destroyed their happiness. It's time to silence her - once and for all. 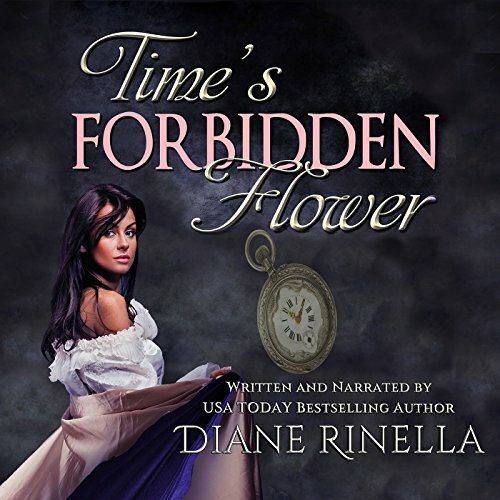 Ravishingly sinful, witty, and controversial, Time's Forbidden Flower, the sequel to Love's Forbidden Flower, is a barrier-breaking love story of time unwound.